Each year, millions of families travel to Florida from all over the world to visit Florida’s amusement parks. From Sea World to Disney, numerous people are injured at theme parks and amusement parks every year. 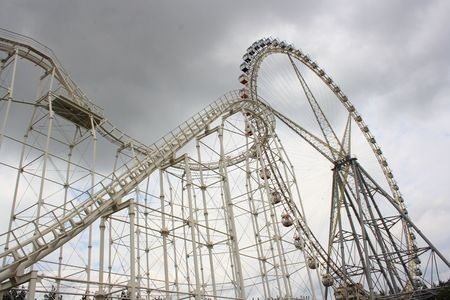 Thrill rides such as roller coasters, water rides, tower rides that drop, bungee rides, water rides, and other thrill rides are usually safe and fun family entertainment. Unfortunately, from time to time, by carelessness, an accident occurs and riders can suffer serious injuries including, head trauma, severed limbs, spinal cord injuries, fall injuries, paralysis, psychological and emotional trauma and even wrongful death. If you or someone you know is injured while riding an amusement park ride in Florida, please contact Spinner Law Firm for a free consultation. We have the knowledge and experience to properly investigate and handle theme park accidents so that you can receive the maximum recovery for your injuries. There are multiple ways that a theme park can be held negligent in an amusement park accident case. The ride itself may be defective in its design or the ride may have malfunctioned during its operation. Additionally, theme parks can be held liable for failing to secure its grounds and permitting hazardous conditions to remain on the premises. If you are injured at a Florida theme park, it is critical that you hire an accident lawyer right after the accident occurs so that witness statements and evidence are preserved. We are Florida theme park attorneys and are familiar with the state and county codes and regulations that govern amusement park rides throughout the State of Florida. If you or a loved one has been seriously injured at a Florida theme park, contact our firm now for help. We are standing by to help 813-991-5099.